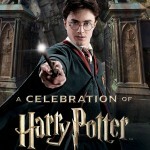 US fans will soon be able to experience the Harry Potter: A History of Magic Exhibition on this side of the pond. 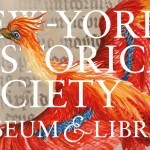 The exhibit, which originated at the British Library, will make it’s new home at the New York Historical Society Museum and Library later this year and tickets for the US run of exhibition will go on sale April 26, 2018. In conjunction with the 20th Anniversary of the release of Harry Potter and the Philosopher’s Stone, the exhibition originally ran October 2017-February 2018 at the British Library and housed a plethora of artifacts and accounts connected in some way to the world created by Rowling, including drafts and drawings from the author’s own archives. Displays are divided by Hogwarts class theme, Divination, Potions, Magical Creatures, etc and include such items as ancient Chinese oracle bones, the The Ripley Scroll, a 6 meter-long alchemical manuscript that describes how to make the life-extending Philosopher’s Stone and the tombstone of alchemist Nicolas Flamel on loan from the Musée de Cluny in Paris. According to Pottermore there will be some additions to the US exhibition including illustrations by artist Brian Selznick, who Leaky met at A Celebration of Harry Potter earlier this year, from the 20th anniversary editions of Harry Potter and the Sorcerer’s Stone. Visitors will also be able to see the costumes used on stage in Harry Potter and the Cursed Child. The exhibition runs at the New York Historical Society October 5, 2018-January 27, 2019. More information and tickets can be found at the Museum’s website here. For fans that aren’t able to find a portkey or apparate to New York for the US run of the exhibition, Harry Potter: A History of Magic the documentary will air Wednesday, April 11, 2018 at 8pm EST on The CW and a virtual tour of the display which can be found on Google Arts and Culture.